The Commonwealth Games are Delhi’s biggest sporting event ever. As the promise of hosting them envelops Delhi there are questions that loom large, unasked and ominous: Who will emerge the winner in this contest to present Delhi as a true global city? Will Indian sport gain at all? How much is it costing the person on the street? Who has actually benefited from all the digging and window-dressing? And who has lost livelihoods, dreams, perhaps even lives? This book is the story of the politics of these Games, the money that is being spent and the priorities that have shaped it. With access to hitherto unused archives, including primary documents from the first-ever British Empire Games in 1930, this book is also the first and only attempt to place Delhi 2010 in perspective within the history of the Commonwealth Games, their meaning and indeed the larger question of why we need a Commonwealth at all. Explaining what all this means for India, it provides a unique understanding of the Delhi Games in its entirety. A History of Indian Sport through 100 Artefacts brings together never-before-seen objects – tickets, scorecards, telegrams, letters, newspaper reports – and facts from the annals of Indian sporting history. There is a wealth of tales and nuggets within these pages: the Mohun Bagan team defeating the East Yorkshire Regiment in 1911 to lift the IFA Shield, Ranji’s love poems for Mary Holmes, the 1932 cricket tour of England, India’s hockey exploits at the Olympics, Lata Mangeshkar’s special record in honour of the 1983 World Cup-winning Indian cricket team, and more. Contemporary history and legends like Sachin Tendulkar, Abhinav Bindra, Sania Mirza, Viswanathan Anand and the exploits at the Paralympics 2016 too claim their space in this fascinating archive. 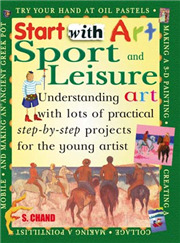 Profusely illustrated and beautifully designed, this is a collector’s edition that no sports lover can resist. A series of ten titles, each having a simple, charming story with beautiful illustrations providing etiquette tips to children. These simple stories are gentle lessons that help children grow up to be likeable adults. 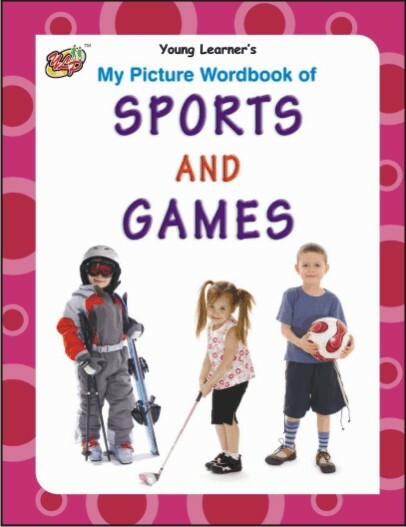 My Big Book o;f Sports & Games satisfy the curiosity of infants in the age-group 2-3-4 years regarding sports & games through attractive pictures. Although with the growth of modern technology many previous laws have become rather redundant yet the infinite human inglinity to exploit the loop-holes in the formulated rules and laws has made their for­mulation almost a continuous process. No matter how fast one tries to walk abreast with the latest sets of rules some obsolescence invariably creeps in. 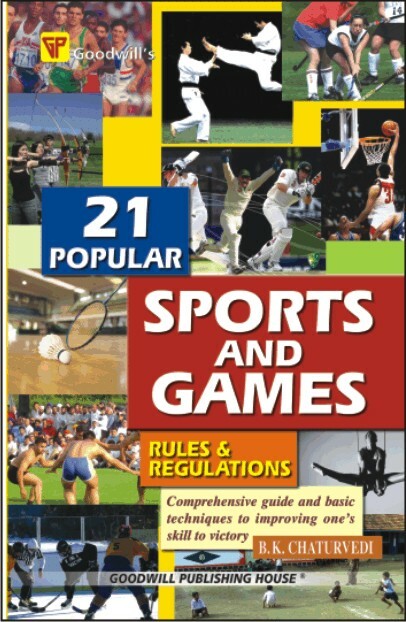 So while it can't be said that all the rules and the laws of the games and sports described in the book are the latest, it can be proudly claimed that it covers most of the major innovations or changes that have appeared in the rules. As for the techniques of the various games in­cluded in the book, the attempt has been made to dwell only on the basics and not on their names - for there is no end to them. Of course, some of the names have also been illustrated in order to help the reader com­prehend other similar variations. The paucity of the space forced this strategy to be adopted, otherwise this book would have become a tone of gargantuan propor­tions. 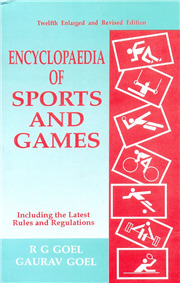 The emphasis has only been on selecting the basic techniques which are of supreme importance to a particular game As far as the selection of the games and sports in this book is concerned the basic criterion has been their popularity as also their availability in this part of the world. We have slummed those games whose mere paraphernalia would cost the player a couple of games apart from their arena's scores availability. We have .tried to cater to the taste of almost all the categories of the sports loving persons. So if you have the Lords' first choice-Cricket, Tennis or Golf - you also find the popular games of the rural origin like Kabaddi and Kho-Kho, besides various aquatic and athletic games. Certain games like Judo and Kung-fu whose practical importance in the violence-prone would can't be denied have been especially dealt with. In fact the book has been devised keeping the fore­knowledge of the reader in view. That is why some lesson known games have been dealt with at length while some will known games and sports have been described in brief. How far have we succeeded in our attempt is what our readers would decide. But we can make one bold claim right now. 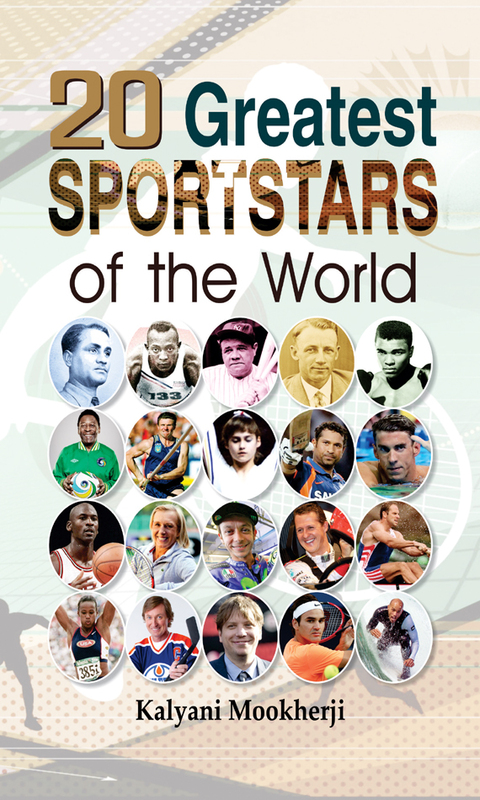 This book might not make many Olympians but most certainly this would make many sports lovers appreciate their favourite games much better than they ever did before. Lastly, the author conveys his deep gratitude to Chaudhary Sahib and Rajneesh ji of the Goodwill Publishing House, who provided him all help to com­pile this book. 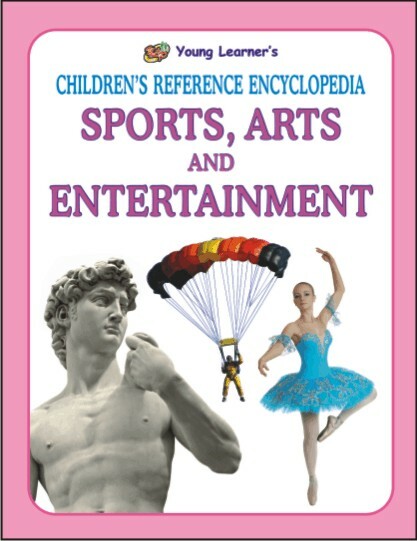 CHILDREN'S REFERENCE ENYCLOPEDIA' is a series of ten books:- 1. Our Universe 2. The earth 3. Plant kingdom 4. Animal Kingdom 5. Human Body 6. History 7. Science and Technology 8. Inventions and Discoveries 9. Sports, Arts and Entertainment 10. People and Places. It deals with basic facts as details not easily available from a single source. The question-answer format, along with coloured diagrams, maps and illustrations will enable children to understand the subject. 'CHILDREN'S REFERENCE ENYCLOPEDIA' lays stress on sowing the seeds of curiosity and thus encouraging children to discover more about the subjects.